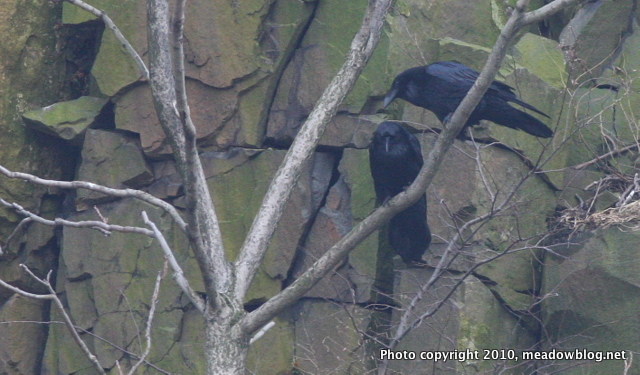 We had no sooner started our third-Tuesday-of-the-Month Walk at Laurel Hill when we saw the two Common Ravens hanging out and preening on a tree just below their usual nesting site. 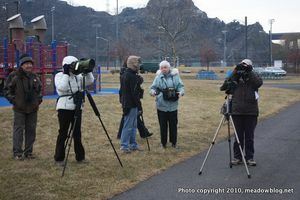 We offered to end the walk there, but the dozen birders preferred to look for other species, which we did with some success — thanks in part to everyone who brought spotting scopes. We had a lot of good but a tad distant birds, including Great Cormorants, Marsh Hawks, Common Mergs, a Great Blue Heron and 12 Black-crowned Night Herons. We also had nine flavors of ducks at DeKorte and by Disposal Road. 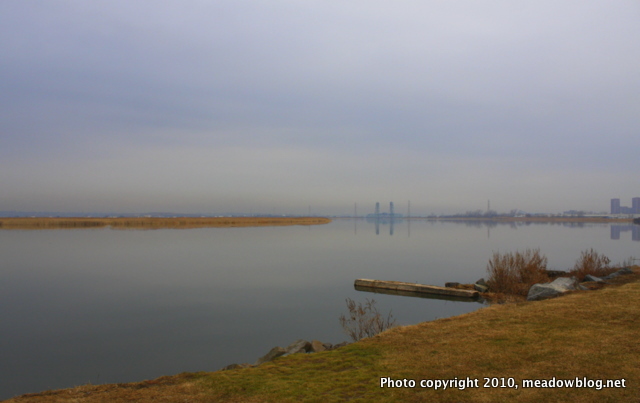 Click "Continue reading…" below the scenic pic for the full list for Laurel Hill and DeKorte, courtesy of Beth Goldberg of the Bergen County Audubon Society.